This statistic presents the share of Deezer survey respondents who played their favorite music to their children in Brazil as of 2018. 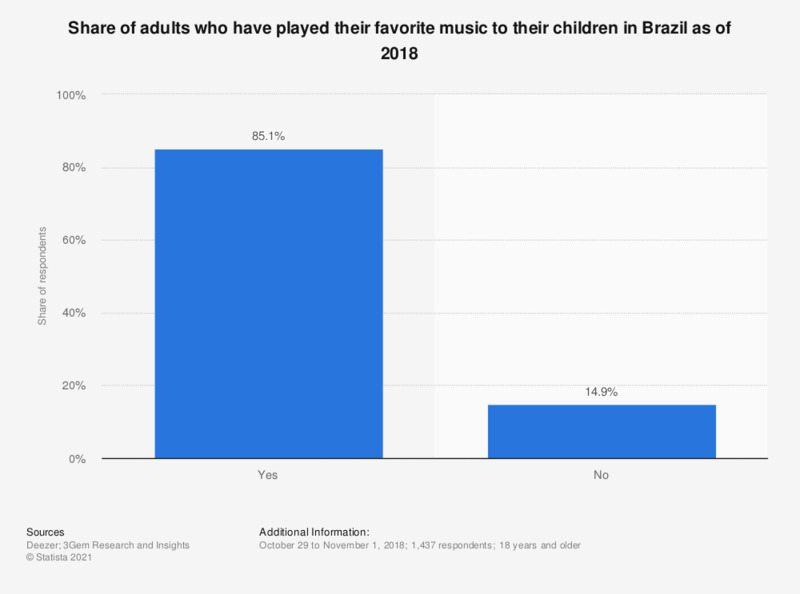 When asked whether they had played their favorite music to their children in an effort to actively encourage them to like it, more than 85 percent of Brazilian respondents answered affirmatively. The original question posed was: "Have you ever played music to your child/ren in an effort to actively encourage them to like your favorite music?" Brazil: When do you expect to have more time to seek out new music artists or tracks?